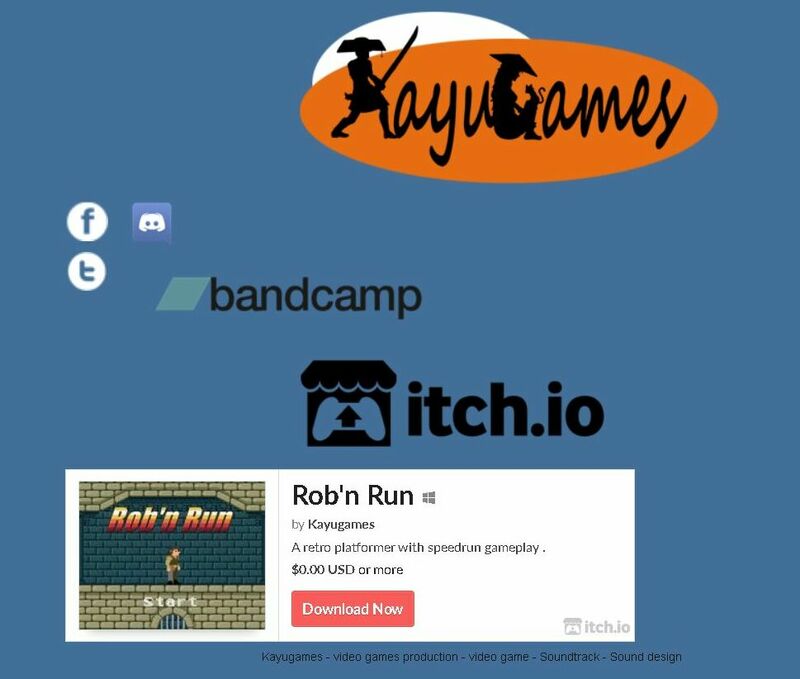 Rob'n Run is a one screen platform game for speedrun gameplay. 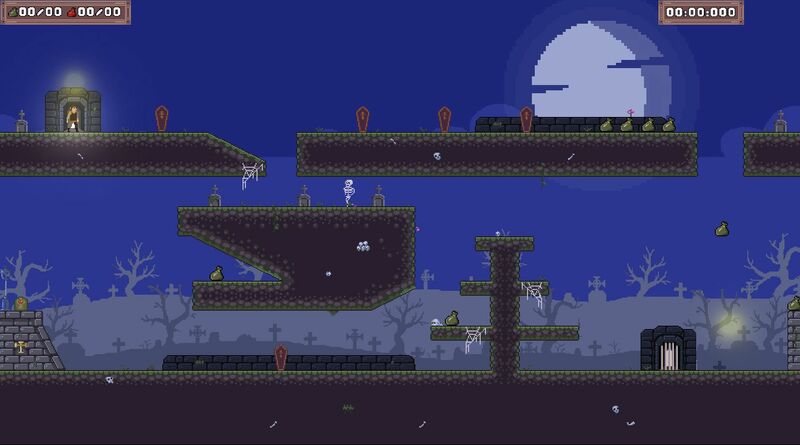 the main caracter can cross the edges of the screen to find the exit and solve labyrinthic paths. Gold, gold, gold, take the gold! Hi guys. 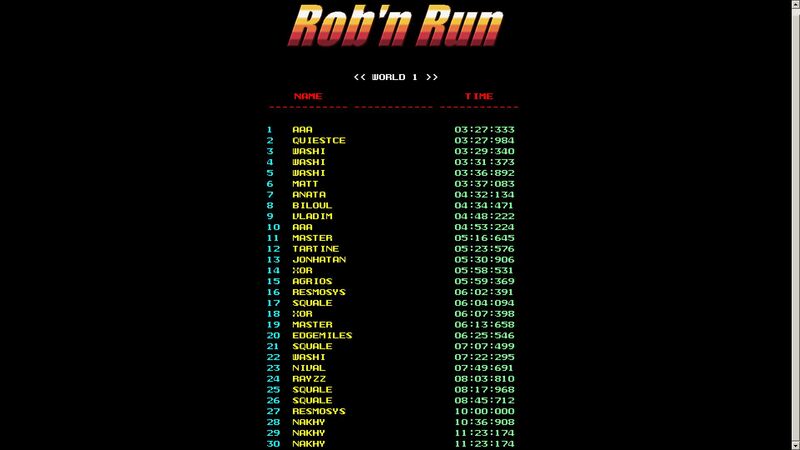 it is now 3 months that we develop Rob n Run. I think the realese will be done within 2 months. the project is doing well. for evidence here are some elements that we present to you. An awesome Visual made by Xor from Psychomoustache studio. 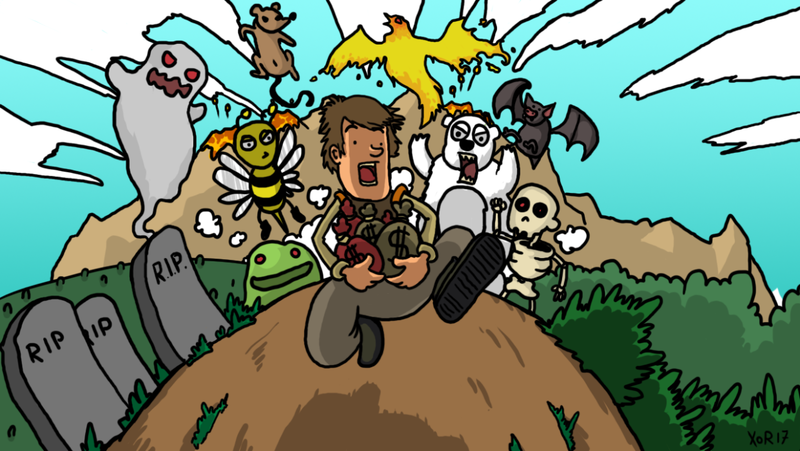 We 'll use it as a poster to distrubute the game on Itch.io, but perhaps for steam too. We now have a sort of website, usefull, even we don't really use it and so it's pretty minimal. We revamp all the visuals of the game and done 4 first worlds of the game. 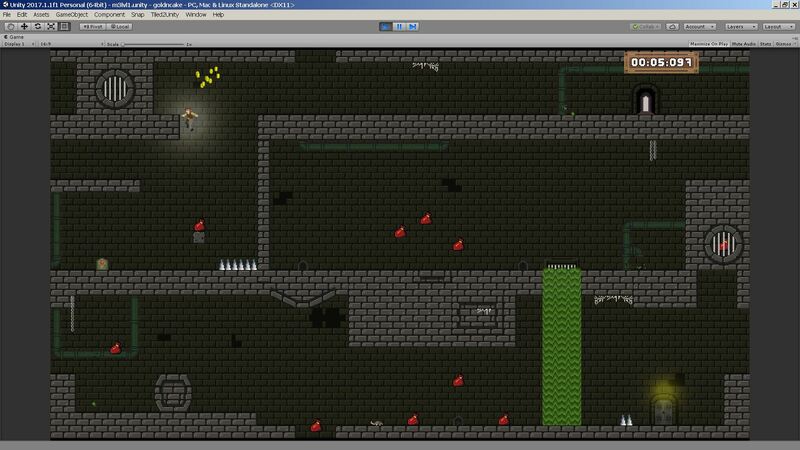 It as now 32 playable levels. each world as its own logic in the way to go throught it. We hope the players will enjoy the specificiies of each one. There is some coffin in World 2 which hiding a goldpouch, or a wraith and the game become a memory game in the same time you trying to grap all the gold in the shortest time. World 3 is sewers. Here the rats don't let you apprehend the levels straightly, because their appartion is random. it change every second your stragtegy. 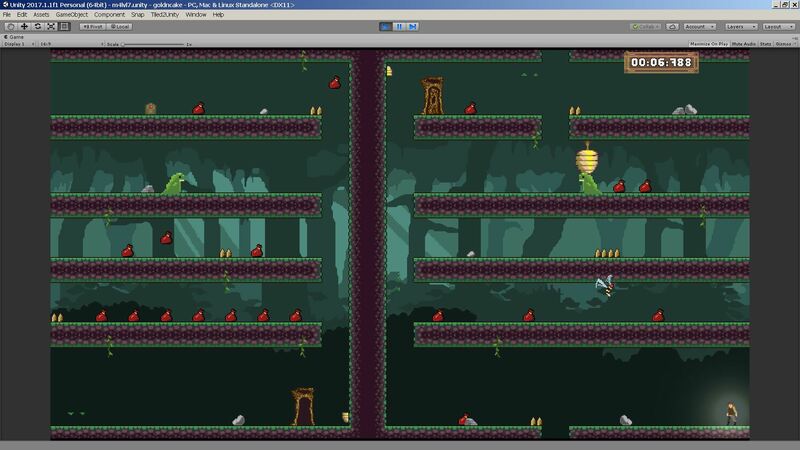 World 4, the forest, include an Evil bee follow the player at every moment. you will be forced too deal with it and prove that you are smarter than it. The map / level selector is fonctional, saving the best time on each world, and we have extentded the TOP online leaderboard up to 100 entry. So even if you are a looser you can enter the place ^^. we also made a compliation of reviews, bring up a sort of teaser. Thx all for support. We give you news soon about the realese date. Surpised by Almondschoice and cyclopticfly 's reviews that show our traps and tricks works fine ^^. play a worlds 1 and 2 in this brand new demo ! ENJOY it.